CIVHC’s Account Executives, Eddy Costa and Vince Tornillo, build key relationships with Change Agents across the state and nation who are advancing the Triple Aim. They work each day to get CO APCD data into the hands of individuals and organizations to enable them make decisions that will improve health, provide better care and reduce costs, health care system. A large part of their job is educating stakeholders about CIVHC and the CO APCD and dispelling misconceptions about the database and CIVHC’s potential role in partnering with them to help support their work. Myth: CIVHC is a state agency. Reality: CIVHC was appointed Administrator of the CO APCD by the Executive Director of the Colorado Department of Health Care Policy and Financing (HCPF). However, we are a separate, nonprofit, non-partisan entity that is not a state department or other entity. That said, we collaborate closely with many state agencies, including HCPF on executing the administration of the CO APCD, and are honored to call them partners. Myth: All Data Requests are Straight Forward and Readily Available. Reality: Depending on the complexity of your request, accessing CO APCD data requires following a process that can take time. The CIVHC team works with requesters to hone in on needs and delivery requirements, which can take several meetings and discussions. In some instances, reports are very straight forward, but for more complex requests, CIVHC’s internal analytic staff is there to collaborate with you every step of the way to ensure your project is a success. Myth: There are no restrictions what types of organizations can use the data. Reality: The CO APCD legislation states that a “… state agency or private entity engaged in efforts to improve health care quality, value or public health outcomes for Colorado residents may request a specialized report or data set from the [CO] APCD…” Every release of CO APCD data must benefit Colorado residents and cannot be used for marketing purposes. CIVHC works with all types of requestors, including state agencies, researchers, non-profit and for-profit organizations, and digital health start-ups. Myth: The data is free. 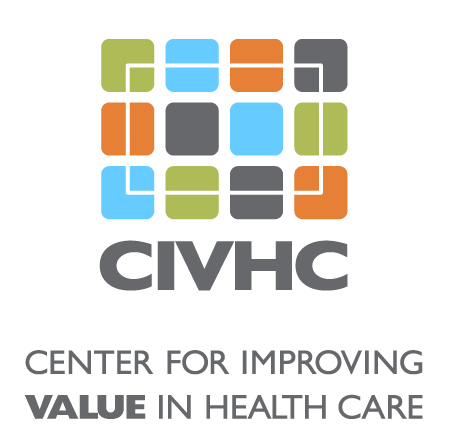 Reality: CIVHC provides free access to multiple data sets, reports and analyses on our website at www.civhc.org. Access to custom CO APCD data, however, does have associated licensing fees to help defray costs including analytic time and data packaging and delivery. The CO APCD legislation did not include allocation of ongoing state operating funds to maintain and administer the CO APCD, and data releases in addition to contract work and grant funding, help support ongoing operations. Many things go into fulfilling a data request, you can learn more about how we set pricing in our recent Plaintalk Blog: How We Create Non-Public Data Requests and What is Included in a Data Access Fee. To offset the cost of data for requestors with limited resources, the Colorado General Assembly established the HCPF CO APCD Scholarship Fund in 2014. HCPF administers the funds and requestors must meet specific criteria in order to be considered for the scholarship support. Click here to get more information about the HCPF CO APCD Scholarship Fund. Myth: There are only a few use cases for the CO APCD data. Reality: We are consistently surprised by the innovative ways requestors are using CO APCD data to improve health care and identify opportunities to reduce costs. Some want to investigate alternative payment models, while others want to evaluate the impact of an intervention, and still others want to take better care of their patients. Employers want to lower health care costs for their employees while making sure they are receiving the best care possible. Digital health companies work to harness the power of data in order to give patients the tools to take control of their care. Researchers are studying the effect of state policy on the opioid epidemic and a variety of other public health issues. Nonprofits are demonstrating the cost savings and improved outcomes associated with providing medically-tailored meals to individuals with chronic conditions among many others. The Change Agent Gallery on civhc.org is full of these exciting and inspiring projects. If you are not sure how you could use CO APCD data for your project, check out what other folks are doing. If you want to learn more about what we have available publicly or for license that can support your work, please reach out to us at ColoradoAPCD@civhc.org.